So, your novel is finished. You have mulled, agonised, edited, lost confidence, honed, polished, regained confidence. And now you want to get it published by a ‘proper’ publisher. So you peruse The Artists and Writers yearbook, you ask fellow writers, you check out who published your favorite novels and then you wrap up the first few chapters of your treasured masterpiece with a synopsis to die for and an irresistible covering letter and send (or email) it off to your chosen agent or publisher. So far so good. But what happens next? So who are readers? What do they do? And, more importantly, how much power do they have? Professional readers are used by the larger literary agents and fiction publishers mainly to take a preliminary look at unsolicited submissions (the delightfully named ‘slush pile’). Sometimes specialising in a particular field of expertise or interest, such as contemporary crime, historical fiction, sci fi etc., a reader’s job is to assess to what extent the synopsis and the first few chapters (5000 words or so) of an author’s manuscript meet the criteria of the publishing house or literary agency and whether the author has commercial potential. And the most important term here is ‘commercial.’ Despite the impression they sometimes like to give of being the only true champions of style and erudition, keepers of the literary flame, publishers are actually in the business of making money. And their professional readers are their gatekeepers. Aha, some of you may be thinking, being a publisher’s reader sound like a great job. What could be nicer than reading for a living? Well, yes and no. Finding possible winners is great, but wading through piles of obvious no-hopers is not. Having the skill to detect potential is not the same as enjoying a good read. Publishers look for a high level of discernment in their professional readers, an awareness of the market and an understanding of what really makes a novel work, stylistically, emotionally and commercially. When a reader finds a submission that does tick all the right boxes then the opening chapters are recommended for a second read by an editor and if the editor agrees then the author will be asked to submit the complete work for further assessment. Hurrah! •	Read widely to get an understanding of the market. •	Hone and re-hone your novel, especially those all important opening chapters and the synopsis, to make sure that you are submitting absolutely your best work. •	Write a compelling synopsis and covering letter. •	Check that the agency or publisher is appropriate for the type of work you are submitting. •	Read the submission guidelines. Having been a reader myself I know only too well how many potential novels bite the dust for reasons quite apart from their literary or commercial merit. Reasons like the fact that they were actually, er …, poetry, or they were (illegibly) hand written, or didn’t come with a synopsis, or did come with some kind of unfunny, sales gimmick. Or, commonest of all, (can you believe it), didn’t have a return address or contact details. 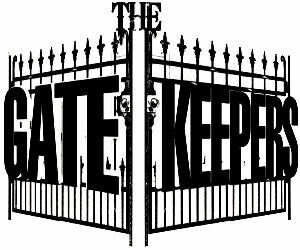 To get past that all-powerful gatekeeper a novel really has to shine. You need to give it all the help it can get! So here we are as writers, locked in our garrets, eschewing social life and family responsibilities, slaving over a hot laptop for hours on end, week after week, maybe even year after year, our entire focus on creating a cast of fascinating characters and a make-believe but believable world for our readers to get lost in for a few hours. A few hours? Yes, that’s right. A few hours is pretty much all it takes to read an averagely paced 100,000 word novel. Then they close the book, (or switch off the Kindle,) lean back in their chair, take a deep satisfied breath, smile to themselves, stretch, scratch, check the time and realise that dog/ family/Guinea pig hasn’t been fed, and with a last fond glance at the novel (or Kindle) they put it to one side and rejoin the real world. And all the months the writer spent in the garret didn’t even include the time spent in editing, packaging, marketing, and promoting (let alone Tweeting). That’s another whole time consuming (and uncomfortably competitive) ball game, one which writers are obliged to enter into just at the point when they want to start writing the sequel! Now I’d be the last to complain, even about the non-writing aspects of being a writer, because I love the process of writing. There is nothing I enjoy more than creating a page-turning story with characters that live on beyond the page. Or is there? The moral of all this is that although it is clearly the writer’s job to create the best possible book they can, those of us who are readers also have some kind of a responsibility too. Not just to let the poor, socially deprived writer know that we have enjoyed their book, but also to tell other people, even to write a review. It’s a competitive world out there and we want our favourite writers to survive. Spreading the word is the best way to do it.